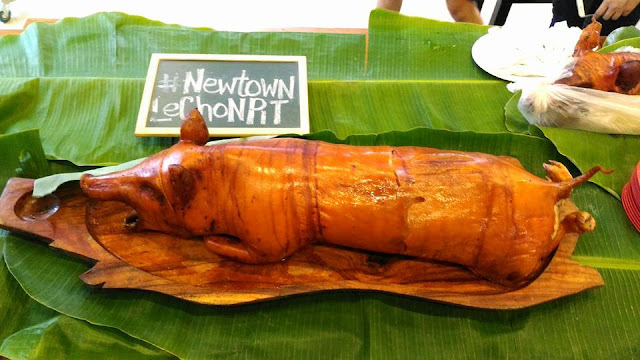 My Foodelity: Mactan Newtown's Lechon Pit is Now Open! "Lechon Pit is guaranteed to whet the appetites of tourists even more as they will be able to witness firsthand how the world’s best pork dish is prepared - from seasoning to roasting, before being chopped and served in plates. "-Megaworld PR. 3 lucky lechon providers from all-over the region where selected to roast their signature lechon dishes. These are Ayers Lechon, Cebu Lechon Belly and Ana’s Lechon. 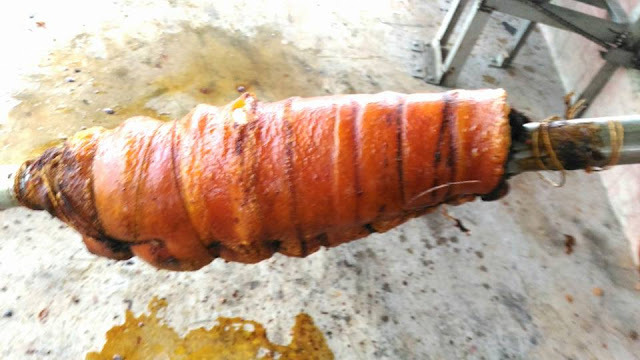 “We believe that we have the best pork dish and the best lechon-makers in Mactan Alfresco. 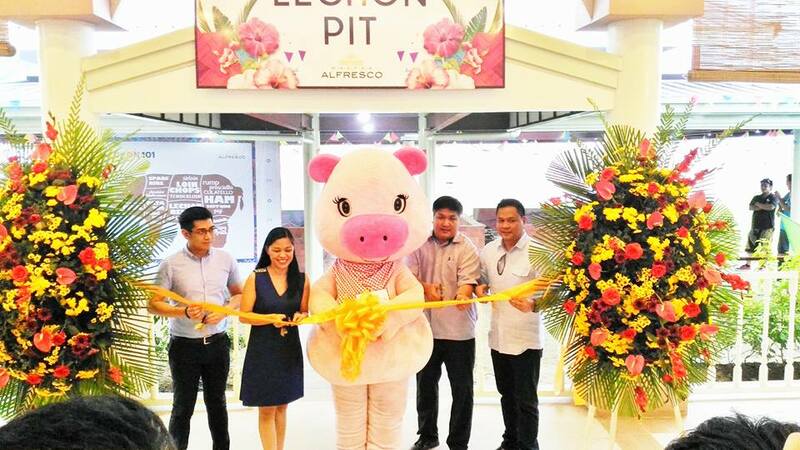 And what better way to showcase Cebu’s pride, the lechon, than giving the tourists an immersive experience, where they can see up-close what goes on in preparing the world’s best pork dish. More than exciting their palates, we hope that through this Lechon Pit, more tourists can have a newfound appreciation of our national dish and hopefully help us promote it to their fellow tourists”, said Megaworld Senior Vice President and Head of Megaworld Lifestyle Malls Kevin Tan. We were served crispy lechon and spicy lechon belly. It was definitely a gastronomic journey for us. We enjoyed every bit of it. Take a selfie at the Lechon Pit while trying to roast the pig. Recommended time to visit when the preparation and serving of the lechon is set will be around 3:00 pm on wards during Saturdays and Sundays (until further notice). Of course, every Friday to Sunday, from 6:30 PM to 8:30 PM, a cultural show will be showcased at the Mactan Alfresco. Expect to be entertained while enjoying your lechon meal! P.S. 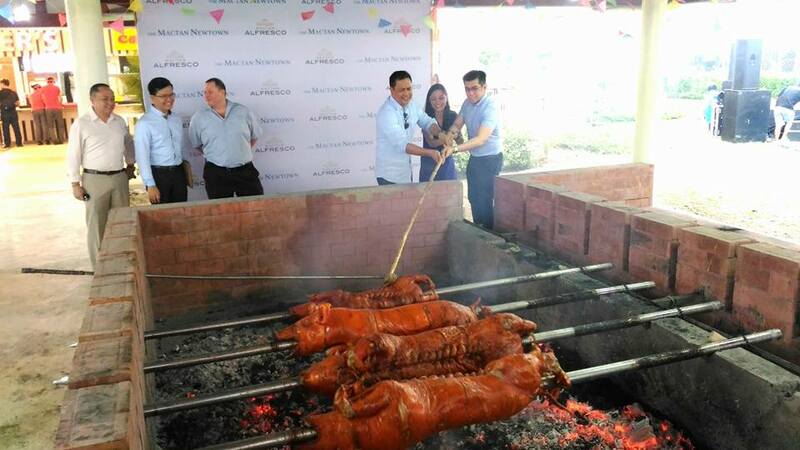 : I'm thankful to Megaworld Corporation for the invitation to this Lechon Pit Opening along with other Cebu Bloggers.